Sundown Music Festival Asia 2013, the ultimate beach music experience has finally reached your shores! Imagine electro waves hitting the coast, mixed with audio and visual vibes to saturate your senses. Sundown is the reality that all ravers dream of. 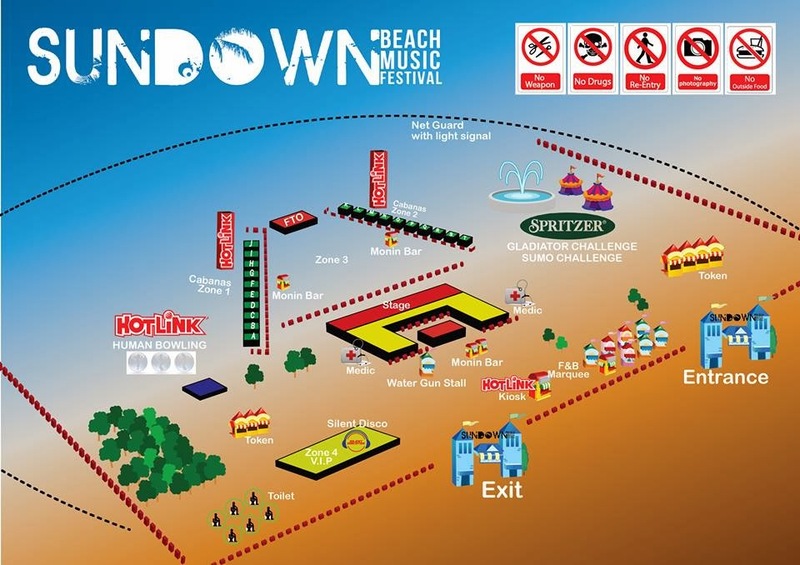 We've got the best of electro, right here at Sundown Music Festival Asia 2013! 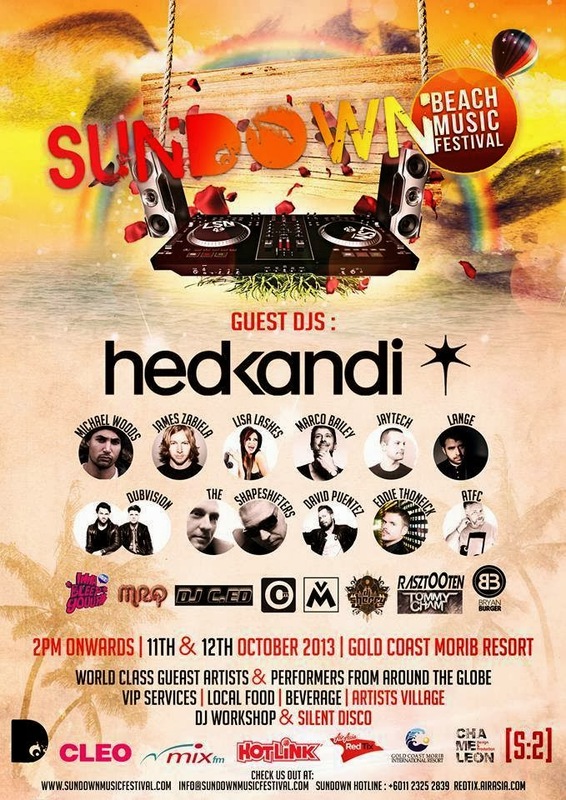 This 11 & 12 October 2013 at Gold Coast Morib Resort !!! See you there! Therefore , I'm giving away my passes to you dear readers ! 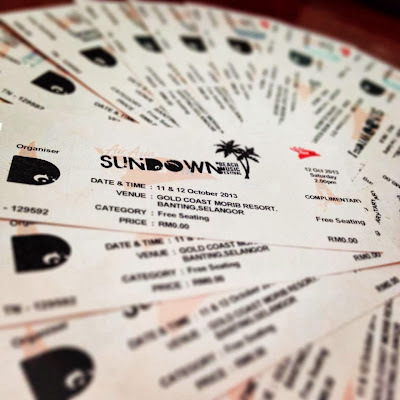 One pair of General Access Passes to Sundown Music Festival Asia 2013 ! Are you ready for the ultimate beach party? The Sundown Beach Music Festival Asia is hitting the Gold Coast Morib Resort Beach Front in Selangor, Malaysia, on 11 & 12 October, 2013! Share & Comment this photo : "I want to go to Sundown Beach Music Festival with ( tag one of your friend that you want to go with ) because..........."
The comment with the most "LIKES" will have higher chance to WIN! 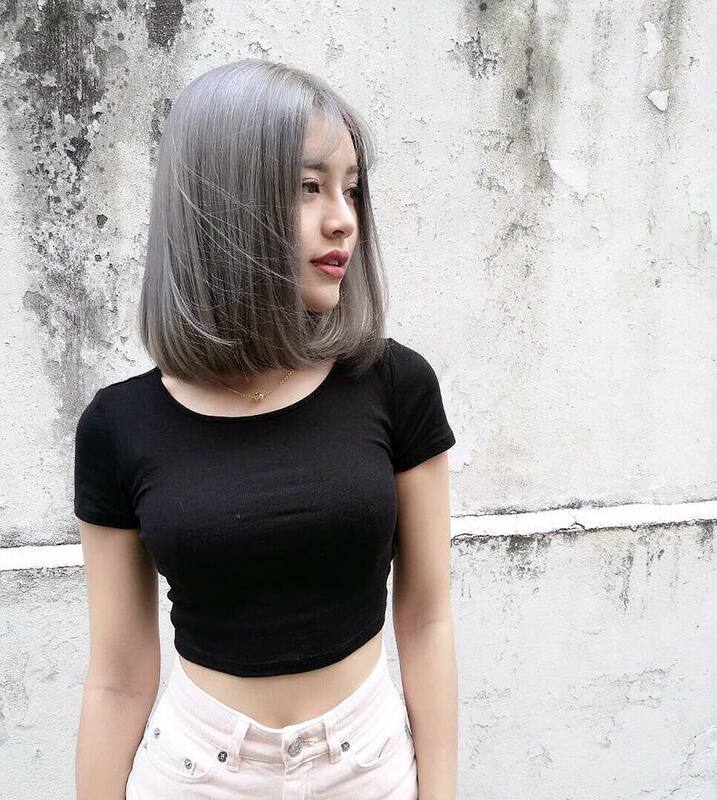 Three Simple Steps & One of you will be going to the party with your friend ! Closing date will be on the 10th of October 2013 , 3PM. The winner will be announced by 3.30PM ( 10/10/2013) We will contact the WINNER for their information then. For your entry to be VALID it must be entered in the column below. All entries to be valid must be in the following format "I want to go to Sundown Beach Music Festival with ( tag one of your friend that you want to go with ) because..........."
First time RAVE PARTY at the beach ? Come & Join me dress up with your summer beach outfit ! TIPS : As you see from the map playground , it's going to be EPIC FUN , So I advise no mobile phones because it's going to be WET. Selena in her cute beach outfit ? SEE YOU THERE LOVES !